The Red Pyramid at Dashur. 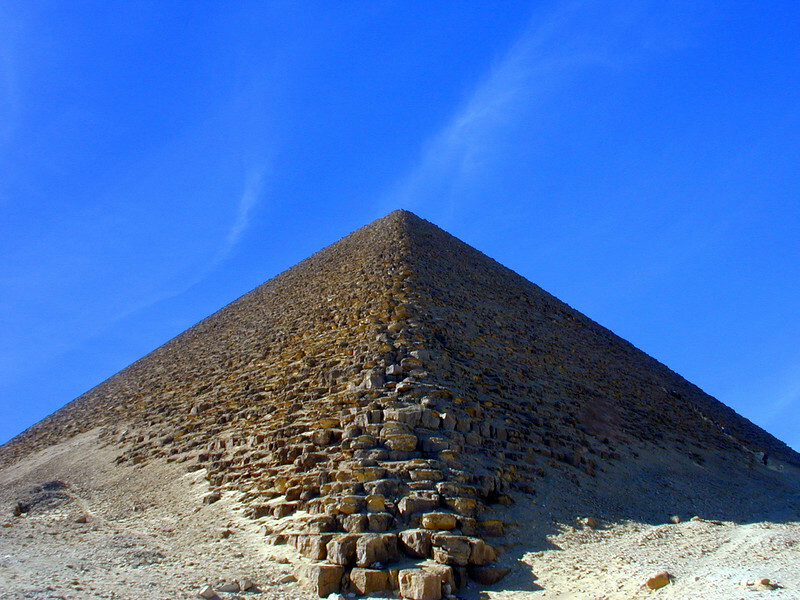 Built by the Pharaoh Snofru, father of Khufu, it is the world's first true smooth-sided pyramid. It's also the third largest pyramid in Egypt. Note the tiny black dot part way up on the right hand side; that's a person.